The County supplement of today's issue of the Irish Examiner contains a brief report on the results from last weeks Summer League event in Ballyannon Wood. The weather on the night seems to have grabbed the main headline but I'm sure others will spot their names in the report. 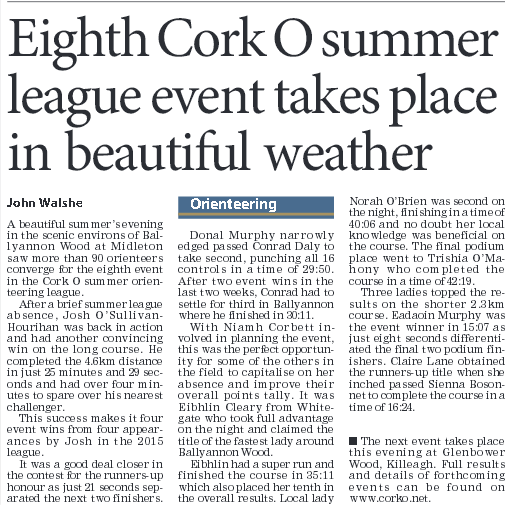 It is great to see our summer orienteering league getting such great coverage. Thanks to John Walshe for the piece. 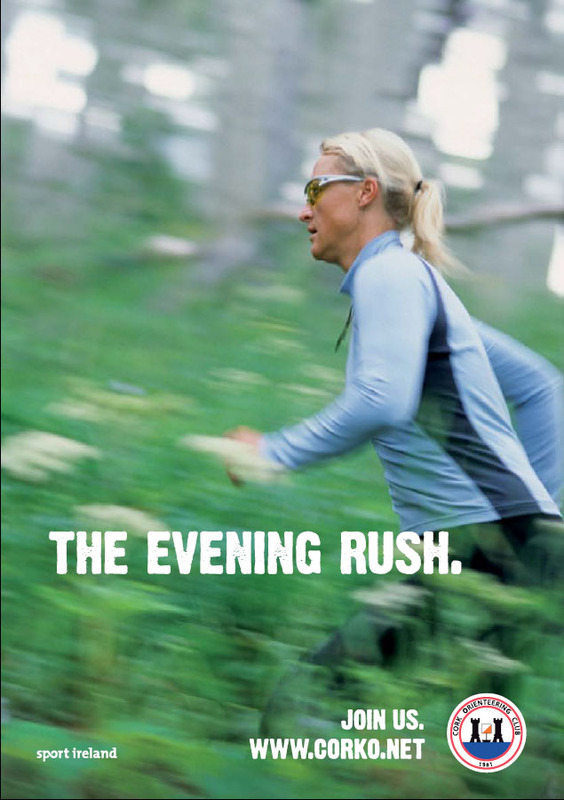 In case you missed it in the print edition we've included it below for you to read.